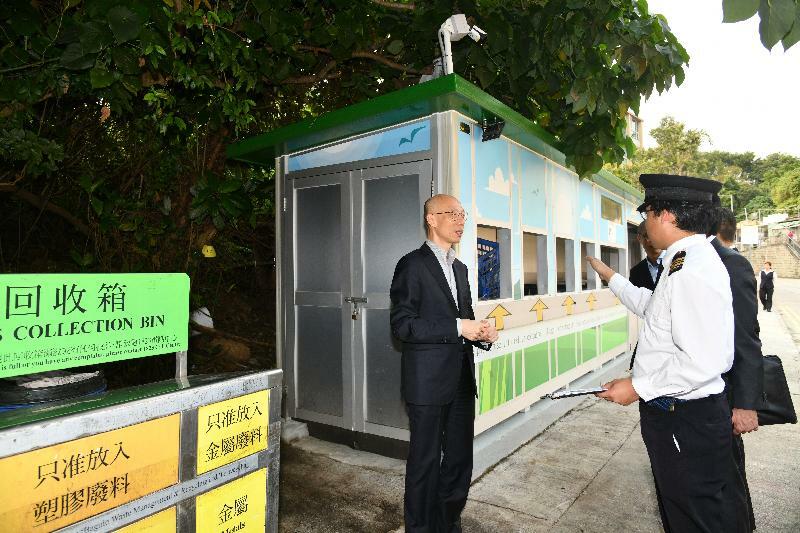 The Secretary for the Environment, Mr Wong Kam-sing, went to Yuen Long District this afternoon (March 19) to visit Hung Fuk Estate as well as a refuse collection point (RCP) and the site of a proposed refuse collection and recycling facility, both located nearby. 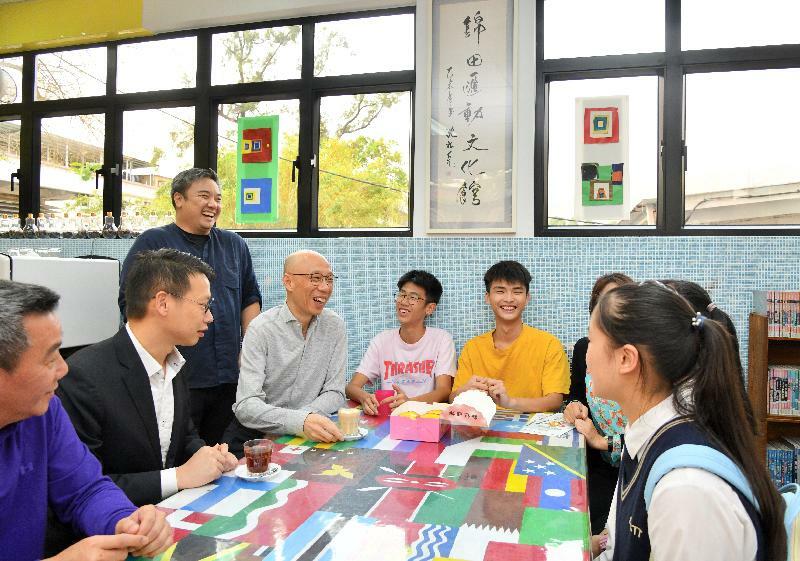 He also called at the Yuen Long District Council (YLDC) and Kam Tin Glocal Cultural Hub to meet with members of the YLDC and young people respectively. 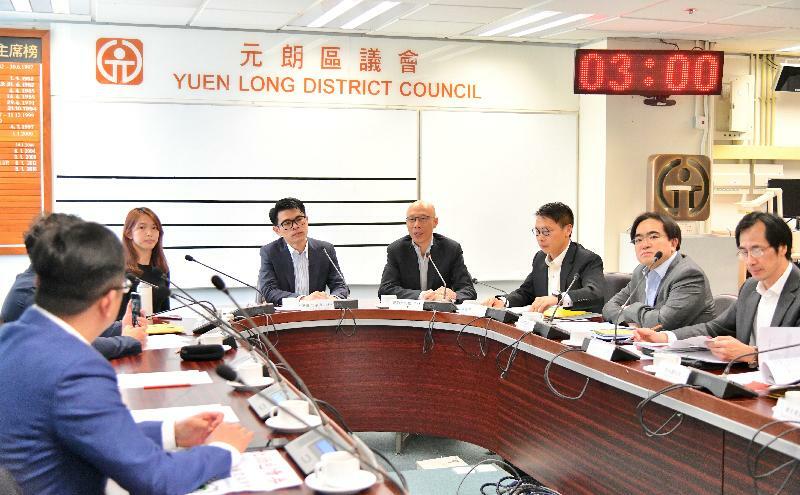 Accompanied by the Vice Chairman of the YLDC, Mr Wong Wai-shun, and the District Officer (Yuen Long), Mr Enoch Yuen, Mr Wong first met with YLDC members to listen to their views on the Government's environmental policies and exchange views on district environmental issues. Mr Wong then departed for Hung Fuk Estate to understand its design features. The public housing estate is the first in the Hung Shui Kiu district, and the rural characteristics of the area have been conserved in the estate and the overall greening ratio has reached 30 per cent. The estate has won a number of architectural awards including the Grand Award under the New Buildings Category - Residential Building of the 2016 Hong Kong Green Building Award. 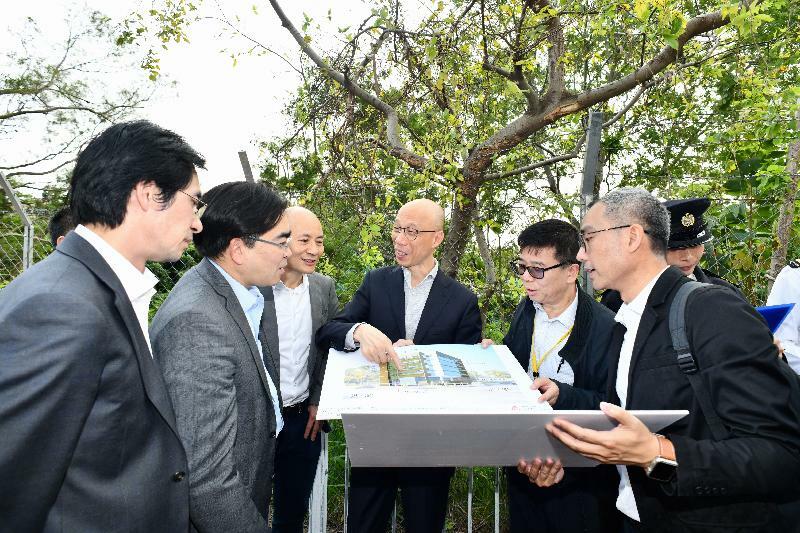 Afterwards, Mr Wong went to the proposed site for a complex with a reprovisioned RCP and a community recycling centre (CRC). The CRC will be set up on the second floor, making the complex the first of its kind to incorporate an RCP and a floor for recycling facilities. Mr Wong also paid a visit to the easy-throw aluminium RCP operated by the Food and Environmental Hygiene Department on Ma Fung Ling Road. The RCP, with openings located at the external wall, enables the public to dispose of refuse without entering the facility. A solar illumination system with motion sensors is installed and the brightness level only increases when motion is sensed in order to make good use of renewable energy and maximise energy efficiency. Before concluding his visit, Mr Wong called at Kam Tin Glocal Cultural Hub to learn more about its facilities and the services it provides. 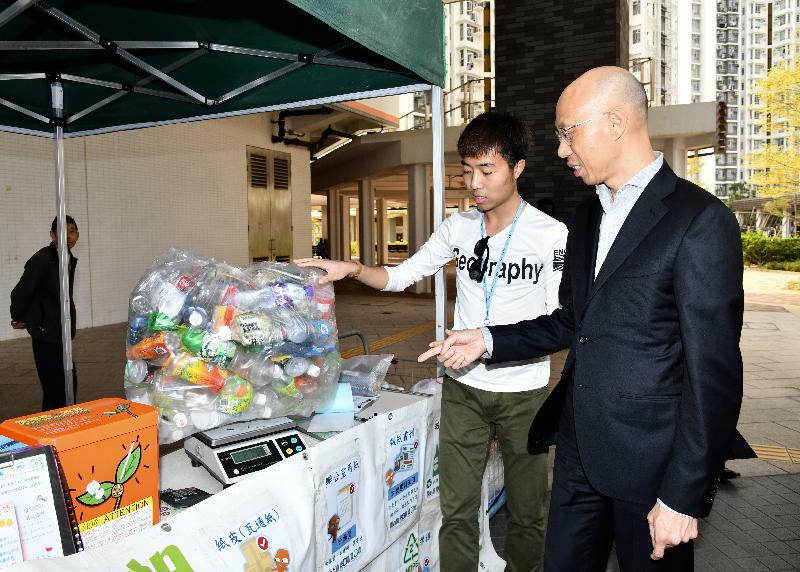 He also chatted with young people at the hub who have participated in a barista training course, and encouraged them to apply what they learn and contribute to the sustainable development of Hong Kong by incorporating green ideas in daily life.